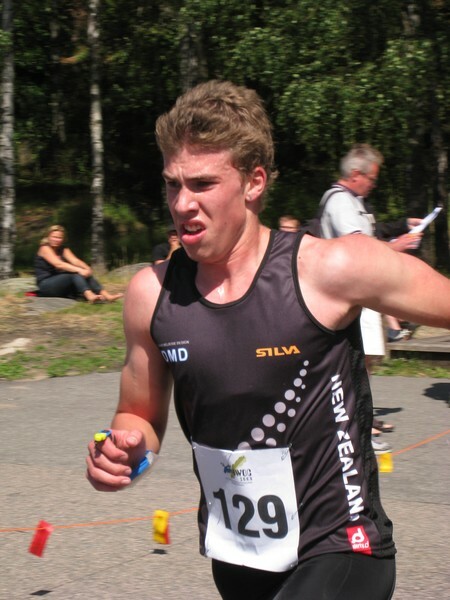 Stepan Kodeda (Czech Republic, 13.21) and Emma Klingenberg (Denmark, 13.40) were crowned 2008 Junior World Orienteering Champions (JWOC) in the sprint distance in Gothenburg on Monday afternoon. In the women's race only seconds separated the top 3. At 16 Klingenberg is the youngest ever winner. Norway's Silje Ekroll Jahren took 2nd in 13.41 and Sweden's Jenny Lönnkvist was 3rd in 13.42. In the men's race Johan Runesson of Sweden took 2nd with Denmark's star Sören Bobach 3rd. The terrain for the sprint was a recreation area with a mixture of park and forest amongst the dominant urban apartment buildings, with an intricate network of small paths interspersed throughout. Sprint orienteering is typically full of action, testing the athletes with a high speed mix of map interpretation and route choice, this race was no different. From the outset there were numerous decisions to be made with choices in route throughout the length of many legs. Often it proved quickest to venture away from the straight line and head to areas of better run ability and less intricate navigation. An exceptional performance in the sprint race from the veteran of this junior team, with Lizzie Ingham taking 15th in a time of 14.11, experience from three previous championships shone through and a cool head got around the course safely, picking up time with smart route choices. Simon Jager (37th=, 14.39) was the best of the boys, all of whom ran consistently through the majority of the course but lost time within sight of the finish as the race headed back into the forest for two last controls. Scott McDonald fell, smashing his compass early in the course and could not regain rhythm navigating the remainder of the course by map features. The next race in the championships is the Middle Distance Qualification held Wednesday morning.